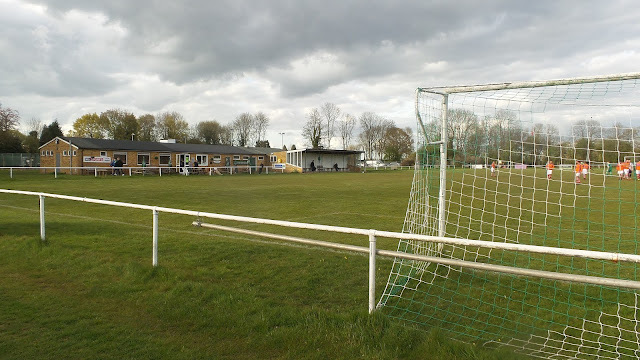 Once again I'd be on my own for groundhopping and so I wanted something local and low cost. 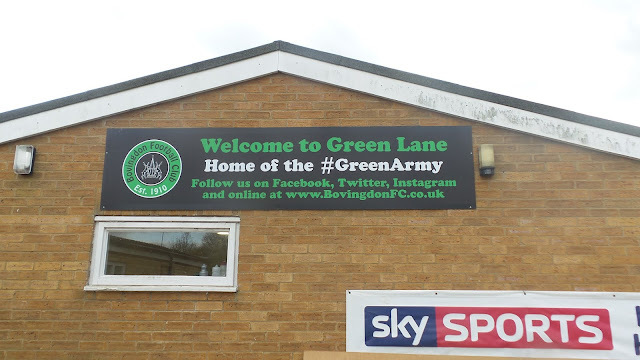 I'd actually tried to visit here back in April, but was thwarted by an afternoon downpour which meant that their game against London Lions was postponed. That was replayed last Thursday and resulted in a 2-2 draw - however I only noticed a few minutes before kick off that it was being played. Instead I chose tonights encounter against Evergreen as the game to go to. As it was only 13 miles from me it was ideal. I'd actually been considering visiting here back in May 2014 but chose Belstone instead. 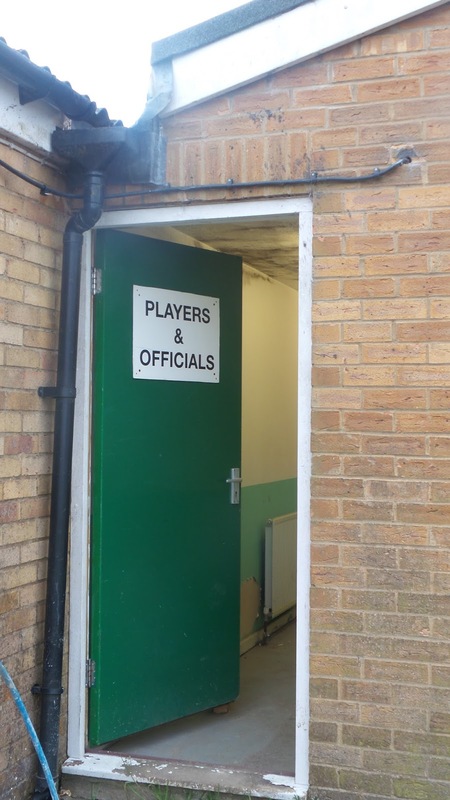 They both play in the Hertfordshire Senior County League at step 7 of the non-league pyramid, or level 11 of football overall. I had been to the village of Bovingdon several times before, mainly for it's market. Pretty much every single stall is full of knock offs so if you want a DVD of the latest cinema release, a moody Rolex or fake Gucci tracksuit, then this is the place to go. 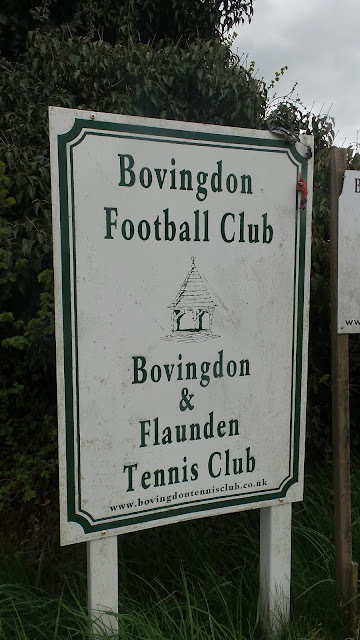 BOVINGDON FC were formed in 1910 and spent their early years in the West Hertfordshire League. 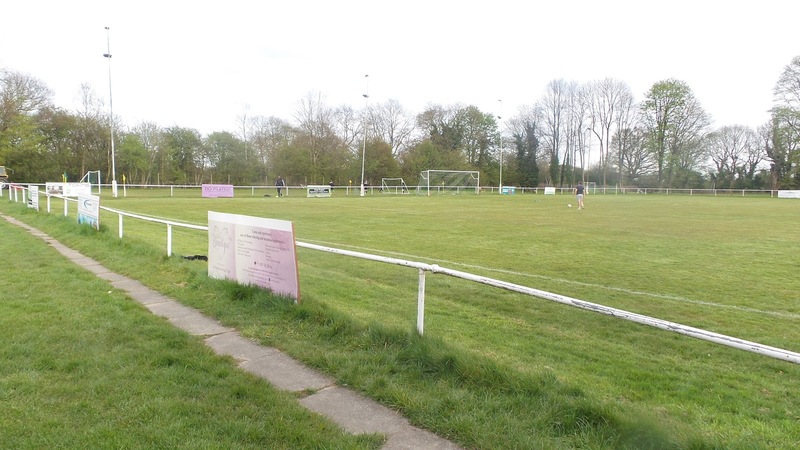 In 1955 they joined the Herts Senior League, winning its second tier in their first season. 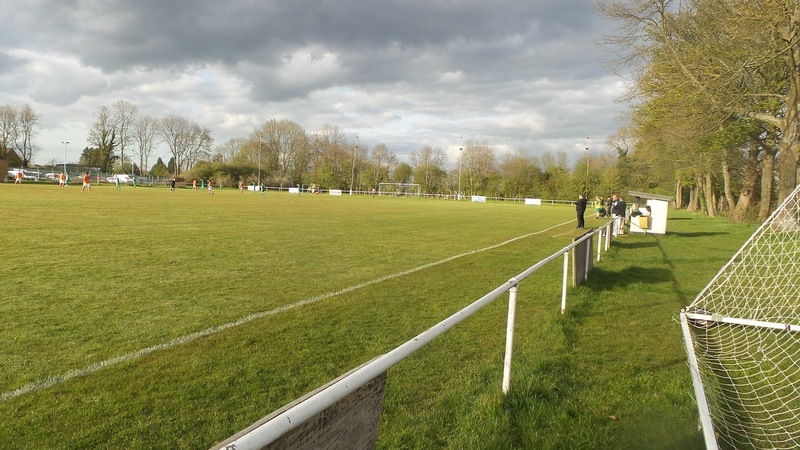 That earned them promotion to the league's Premier Division and it is there where they have spent most of their time ever since. 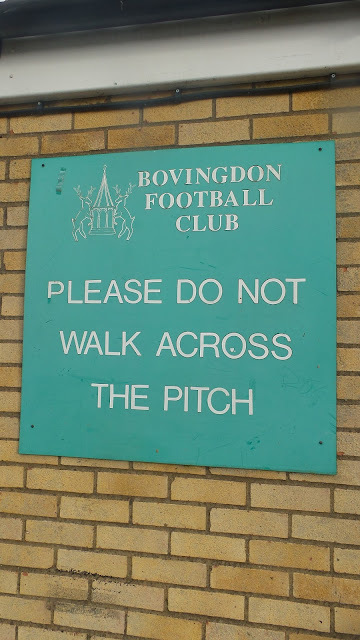 Their worst spell came in the mid 60's where 2 successive relegations saw them relegated to Division 2, finishing 10th to mark their lowest ever league position and spending 3 seasons in total at the lower level. 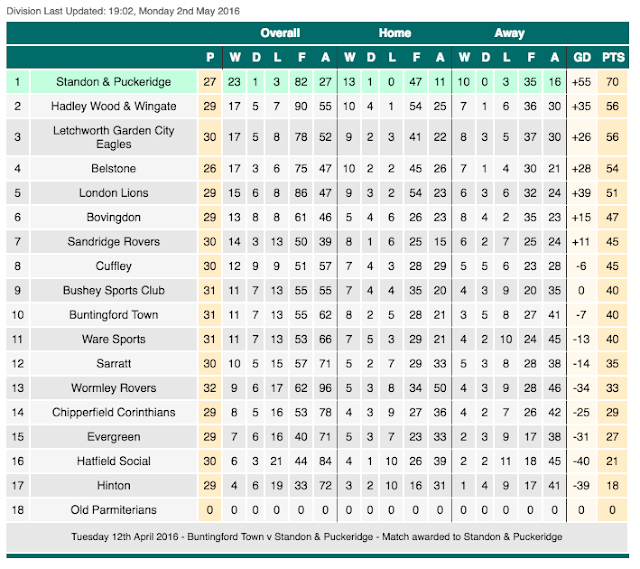 They've been in the Premier since 2007 and last season had their joint best ever league placing when they finished 3rd. They sat 6th before this evening's game, with a mathematical chance of finishing 2nd due to games in hand, however, this is extremely unlikely. In terms of cups, they have never entered the FA Cup or FA Vase, probably due to lack of floodlights. They have won every local cup competition going though with the Apsley Senior Cup, Watford Peace Cup, Webster Cup, Chiltern Villages Cup, Herts Junior Cup, St Mary's Cup and most recently in 2005 the Rickmansworth Cup. The village has one notable sporting resident - former Arsenal and England keeper David Seaman. 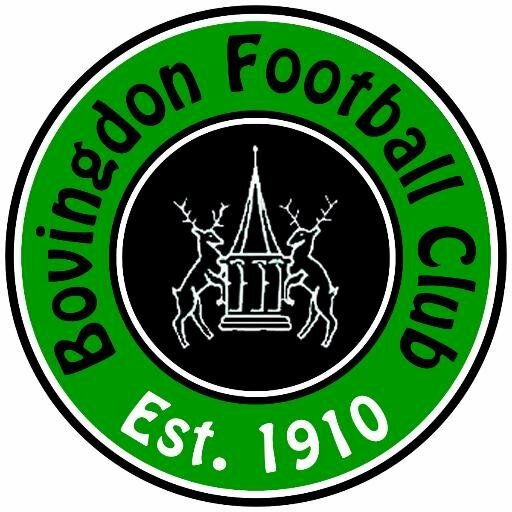 Opponents Evergreen were struggling and lost 2-1 at home to London Lions on Saturday, while Bovingdon lost 4-1 at Buntingford Town to carry on a run of 3 games without victory. It was the usual Tuesday drill of my day off and a walk down town. After I came back I spent the afternoon checking out some stats on tonight's game and carrying on watching my 'Goodnight Sweetheart' box set. I spent the last part before dinner going through my savings accounts for the first time in a couple of years, trying to make the most of the pitiful rates on offer. After a dinner of chilli con carne I left at 5.45. It was a very cross country route with plenty of tiny roads, but at least it avoided the traffic in the most part. 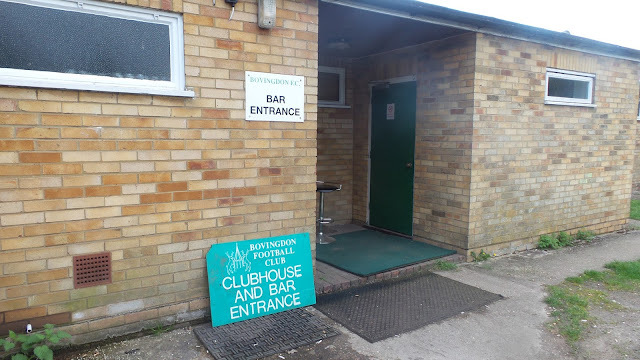 I arrived at the ground at 6.15, parking in the nearby tennis club car park. After getting some pictures of the ground I picked a spot near the halfway line and settled down to watch the game. The game started fairly open but without many clear cut chances. It came alive on 38 minutes when Bovingdon were awarded a free kick just outside the area. 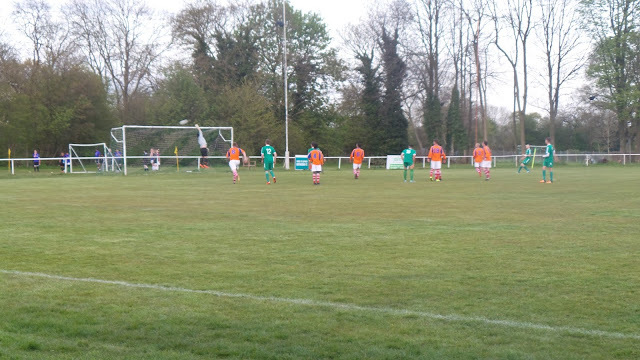 The effort was off target but the referee spotted a push in the area and awarded a penalty. 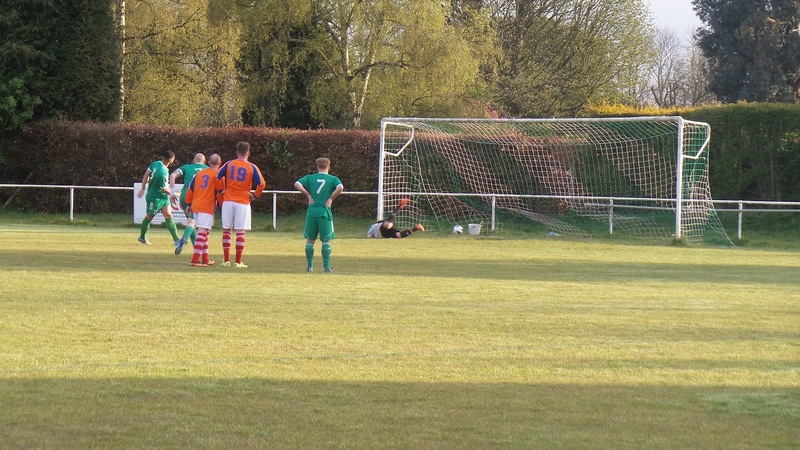 The effort was initially saved but the linesman adjudged that the keeper had come off his line and ordered a retake. 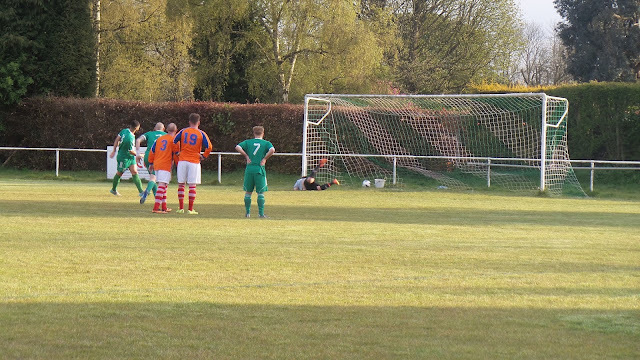 Though the keeper made a decent effort at saving it, the ball just crept past him to make it 1-0 to the hosts. 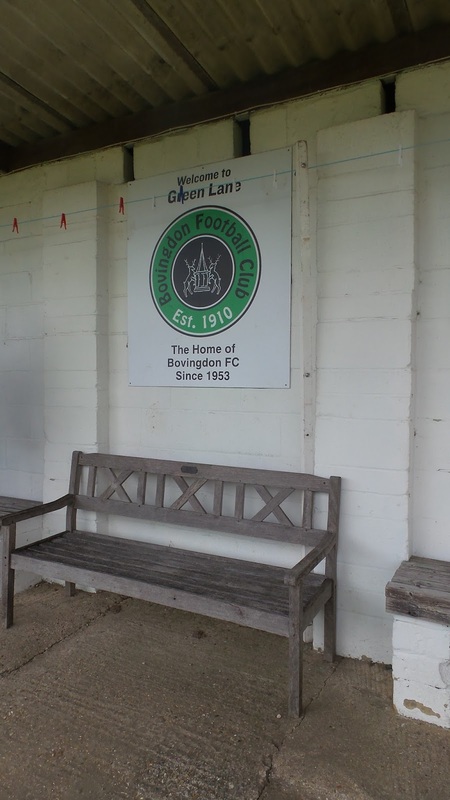 Shortly before half time Evergreen also had an effort but it was well over the bar. 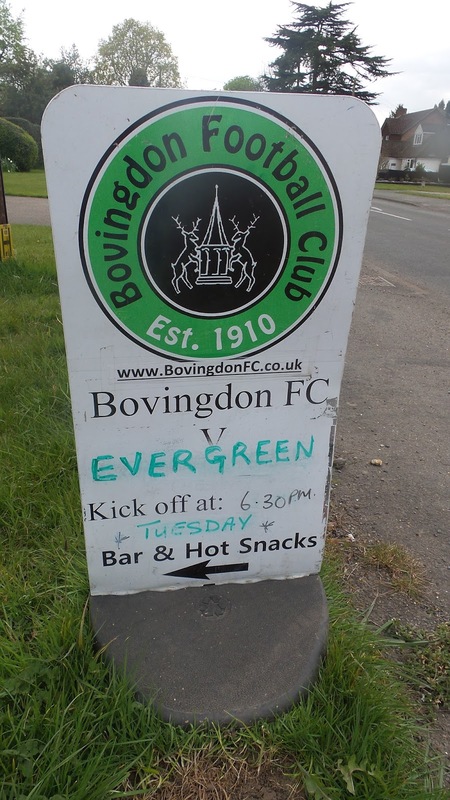 The second half was pretty even too and Evergreen got their equaliser just before the hour mark. 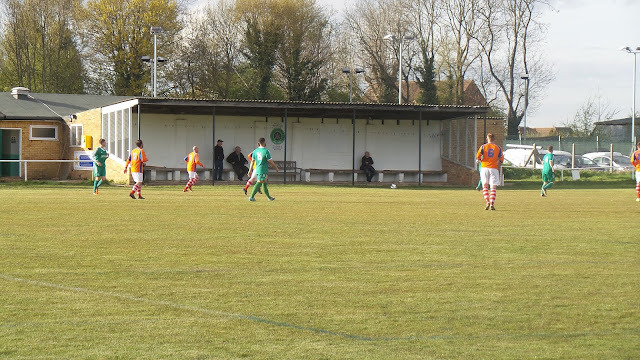 A decent corner was put in, the Bovingdon keeper flapped at it and there was a player on hand to force it over the line from close range. That was how it stayed, thanks in no small part to a number of great saves from the Evergreen keeper. It hadn’t been as good as Monday’s game at Eversley & California, but it was still a decent evenings entertainment. The game was over by 8.10 and I was home 20 minutes later. This made a pleasant change to the usual scenario of getting back well past midnight, then being knackered as I was up for work at 4am. I even had time to put this blog up, as well as catching up online before watching TV in bed and getting to sleep at a reasonable hour. 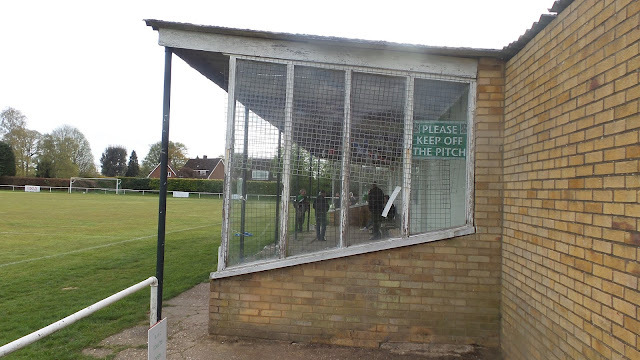 GREEN LANE is an excellent ground for the Hertfordshire League and with the addition of floodlights could easily serve as a step 6 ground and a step 5 with the addition of a small stand. There is just the one area of cover, but it’s pretty big and you could probably get a few hundred in standing up. 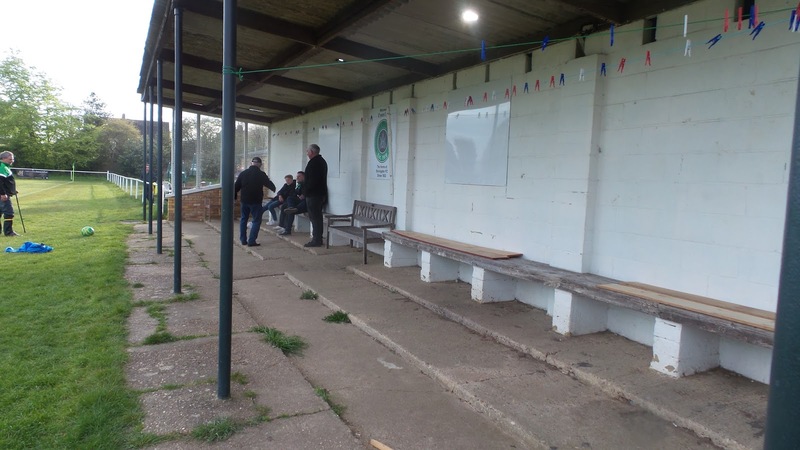 It is however mainly used for seating with around 30 spaces on the back row. Leg room is unlimited and the view is good despite a number of supporting poles. 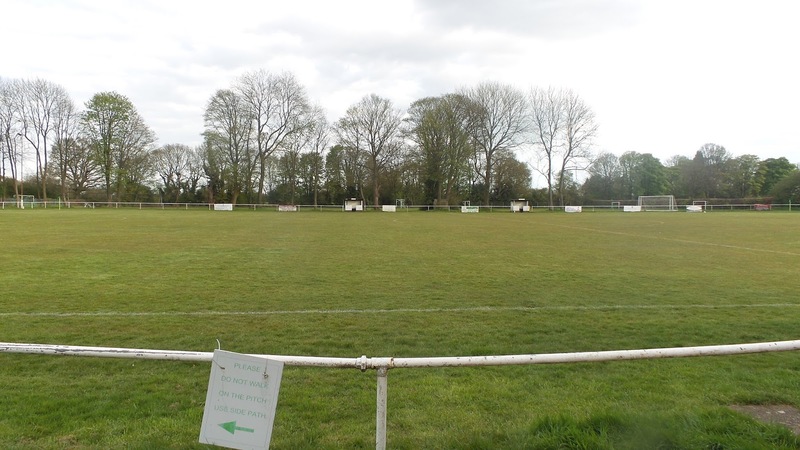 It's also in a nice peaceful area and very well kept, with pride taken in the grounds appearance, which isn't always the case. 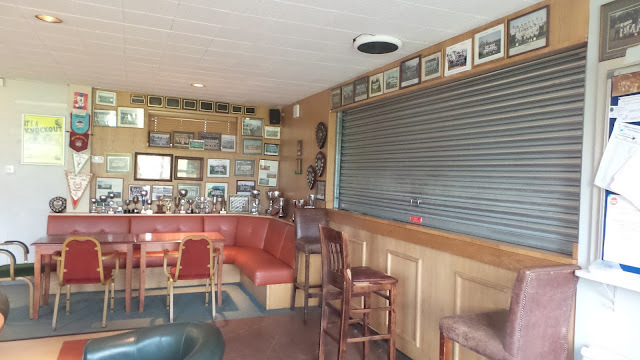 The bar is also a decent place, with a number of choices on draught, including Thatchers Gold for cider heads like me which costs £3 a pint. 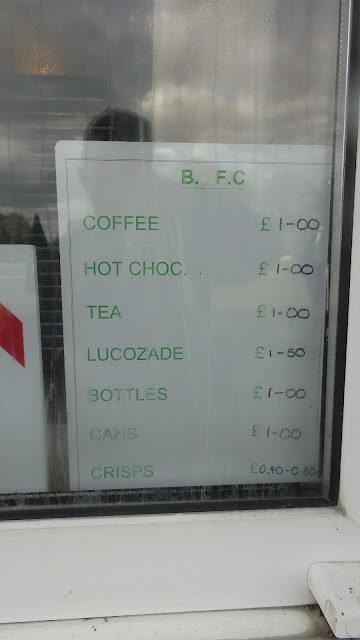 I didn’t indulge on the night, but also available are hot and cold non alcoholic drinks. I didn’t see any food for sale, but the kitchen has a 5 star rating from the health authority. Programmes are issued sporadically, with them tending to issue for the bigger weekend games, so none available tonight. But that’s no concern for me, I saw a reasonable game of football in a friendly atmosphere and best of all it was free entry and is so for every single game. I'd certainly consider visiting again, and would recommend a visit to any hopper.